In 1992, Stiell et al. set out to develop a set of clinical decision rules regarding the necessity of obtaining foot and ankle radiography in patients presenting to the emergency department with blunt ankle injuries (2). In their initial derivation study, the authors established a set of rules based on history and physical exam components of 750 patients with ankle injuries that were 100% sensitive for foot and ankle fractures. Importantly, patients who were excluded for these studies included those under 18 years old, pregnant, had isolated injuries of the skin, had been referred from an outside hospital, had suffered their injury more than 10 days earlier, or were returning to the emergency department for reassessment of the same injury. Notably, these initial Ottawa Ankle Rules included age as a criterion for imaging and the initial foot rules included bony tenderness of the cuboid. Tenderness upon palpation of the posterior aspect of the distal 6 cm or tip of either malleolus. In the implementation of these rules by the same authors, the ankle rules were found to have a sensitivity of 100% and specificity of 50%; the foot rules had a sensitivity of 100% and a specificity of 77% (4). In this study, the authors conclude foot and ankle radiographs could be decreased by 28% and 14%, respectively, if providers followed their rules to determine those patients in which radiography is unnecessary. They also report decreased length of stay, decreased medical costs, and similar patient satisfaction for those patients without fracture who were evaluated using Ottawa rules compared to those who were evaluated using “no changes in usual procedures” (4). These results have been evaluated in recent systematic reviews and meta-analyses (7,9,10). The most recent of these studies is that of Bachmann et al. (7) who evaluated 66 studies including patients in a number of primary care settings. Their ankle rule test characteristics included a sensitivity of 99.4%, specificity of 35.3%, negative LR of 0.018, and positive LR of 1.53. Their foot rule test characteristics included a sensitivity of 99.2%, specificity of 42.3%, negative LR of 0.02, and positive LR of 1.72. The Ottawa Ankle Rules have great sensitivity at ruling out ankle fractures; however, another group of researchers set out to make another clinical assessment that would have improved specificity. They created the Bernese Ankle Rules (Figure 3) (11). The clinical exam utilized in these rules includes indirect fibular stress, direct medial malleolar stress, and compression stress of the mid- and hindfoot. If any of these examination maneuvers caused pain, the authors “diagnosed acute fracture.” In their initial study, they achieved a sensitivity of 100% and a specificity of 91%. However, in these relatively high sensitivity and specificity have not been replicated since. In a trial comparing the Bernese Ankle Rules to the Ottawa Ankle Rules (12), researchers found significantly higher sensitivity of the Ottawa Ankle Rules (97% versus 69%) and a significantly higher specificity of the Bernese Ankle Rules (45% versus 29%). Ultimately, the reduced sensitivity of the Bernese Ankle Rules in this study and others prohibit it from being used clinically in the emergency department. Niska R, Bhuiya F, Xu J. National Hospital Ambulatory Medical Care Survey: 2007 emergency department summary. Natl Health Stat Rep. 2010 Aug 6;(26):1–31. Stiell IG, Greenberg GH, McKnight RD, Nair RC, McDowell I, Worthington JR. A study to develop clinical decision rules for the use of radiography in acute ankle injuries. Ann Emerg Med. 1992 Apr;21(4):384–90. Stiell IG, Greenberg GH, McKnight RD, Nair RC, McDowell I, Reardon M, et al. Decision rules for the use of radiography in acute ankle injuries. Refinement and prospective validation. JAMA. 1993 Mar 3;269(9):1127–32. Stiell IG, McKnight RD, Greenberg GH, McDowell I, Nair RC, Wells GA, et al. Implementation of the Ottawa ankle rules. JAMA. 1994 Mar 16;271(11):827–32. Stiell I, Wells G, Laupacis A, Brison R, Verbeek R, Vandemheen K, et al. Multicentre trial to introduce the Ottawa ankle rules for use of radiography in acute ankle injuries. Multicentre Ankle Rule Study Group. BMJ. 1995 Sep 2;311(7005):594–7. Sujitkumar P, Hadfield JM, Yates DW. Sprain or fracture? An analysis of 2000 ankle injuries. Arch Emerg Med. 1986 Jun;3(2):101–6. Bachmann LM, Kolb E, Koller MT, Steurer J, ter Riet G. Accuracy of Ottawa ankle rules to exclude fractures of the ankle and mid-foot: systematic review. BMJ. 2003 Feb 22;326(7386):417. Lambers K, Ootes D, Ring D. Incidence of Patients with Lower Extremity Injuries Presenting to US Emergency Departments by Anatomic Region, Disease Category, and Age. Clin Orthop. 2012 Jan;470(1):284–90. Markert RJ, Walley ME, Guttman TG, Mehta R. A pooled analysis of the Ottawa ankle rules used on adults in the ED. Am J Emerg Med. 1998 Oct;16(6):564–7. Eggli S, Sclabas GM, Eggli S, Zimmermann H, Exadaktylos AK. The Bernese ankle rules: a fast, reliable test after low-energy, supination-type malleolar and midfoot trauma. J Trauma. 2005 Nov;59(5):1268–71. Derksen RJ, Knijnenberg LM, Fransen G, Breederveld RS, Heymans MW, Schipper IB. Diagnostic performance of the Bernese versus Ottawa ankle rules: Results of a randomised controlled trial. Injury. 2015 Aug;46(8):1645–9. 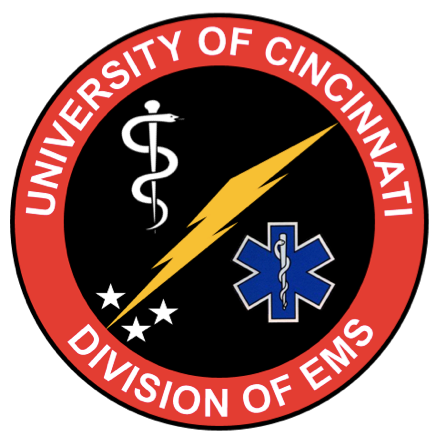 University of Cincinnati Chief Resident 2015-2016. Born and raised in the hills of Syracuse, NY.